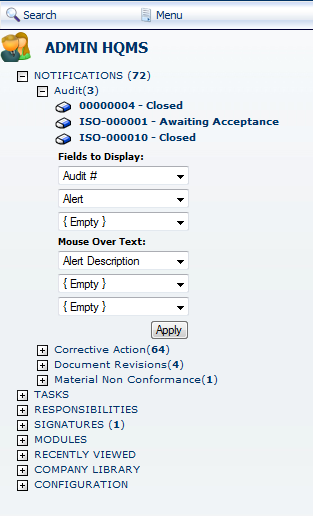 Enabling configurable menu settings for the Search & Menu bar will allow your users to configure which fields are shown when the user views notifications and what information is displayed when the user mouses over notifications. These settings can also be carried over to the newsletter by enabling the option in the user’s notification settings. 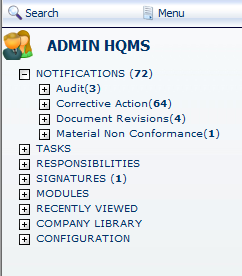 Login to HQMS using an administrator account. 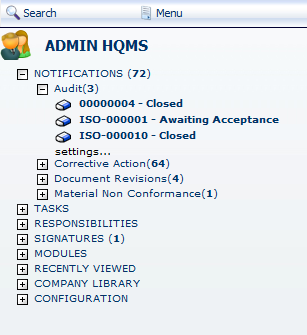 Click on Edit and check the option “Enable Configurable Menu” under the System Wide Settings section. 1. Expand notifcations in the Search & Menu bar. 2. Expand a system that has notifications. 4. Modify the settings you wish to change and click Apply.